Cypress Gardens Mobile Home and RV Park is located in the heart of Florida's Fun Belt, just 3 minutes to LEGOLAND and 35 minutes to Disney World, Universal Studio, Epcot Center and Sea World. It is less than an hour to airports and other attractions in Orlando and Tampa. Busch Gardens, Lowery Zoo, the Museum of Science & Industry and the Wonderful Gulf Beaches are less than an hour drive. Cypress Gardens Home and RV Park is an excellent place to begin and central to so much fun! If you are considering a visit to Disney after the holidays, check out Disney's latest offer by clicking here. 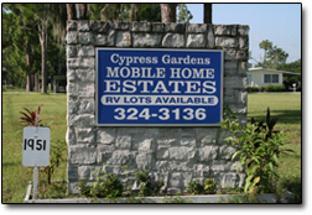 Cypress Gardens Mobile Home and RV Park is an established park. The Cassidy family are the proud owners and operators of Cypress Garden Mobile Home and RV Park. They invite you to experience, first hand, the friendly, clean and well maintained living and camping areas of the park. 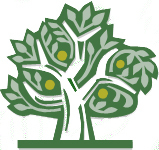 They take pride in providing a safe and enjoyable haven for travelers and residents alike. Cypress Gardens boasts over 120 acres offering more than 120 RV sites with all the facilities you'll need. There are over 140 homes in the community park with expansion plans in place. The Club House, fully air-conditioned, has FREE WIRELESS INTERNET service and comes equipped with a full kitchen along with soda machines. Cypress Gardens Mobile Home and RV Park has a beautiful in-ground swimming pool, Bocci Courts, Shuffleboard, Horseshoe Pits, laundry facilities, restrooms, showers, pool tables and an outside storage area available for residents and visitors. The Cassidy family and Cypress Gardens Mobile Home and RV Park staff welcome you to our "WINTER HAVEN" and wish you a pleasant stay. You may also write a personal check along with a valid driver's license or proper photo identification.